PQ Media of Stamford (CT) predicts that marketers will remain enamored with placing products wherever they can...in movies, TV and radio, on web sites, in video games and lyrics, newspaper and magazine articles, and even in the plots of novels. Product placement is an example of a phenomenon known as ?ad creep,? loosely defined as popular culture becoming increasingly commercialized. Spending on paid placements worldwide will reach $3.1 billion in 2006. In 2005 it was $2.2 billion, and by 2010 product placements are expected to reach $7.6 billion annually. There are two types of product placements: (a) paid ones, where marketers spend money to weave their wares into the plots, scripts and content of entertainment, and (b) bartered placements which occur when a company?s product is provided in exchange for being mentioned or used. WisdomTree Investments of New York is among a new crop of money-management firms specializing in exchange traded funds. (WisdomTree has $400 million under management.) Recently the company added high-profile supporter, former SEC chairman Arthur Levitt as a senior adviser, providing him a stake in the company in exchange for his role...which is yet to be formally defined. The company?s marketing materials also feature the endorsement of Jeremy Siegel, the well-known professor from Wharton School of the University of Pennsylvania. He received a stake in the firm, as well, for his backing. Decades ago when Garden Grove-based marketing company Money Mailer was just getting started, they regularly used the services of TradeAmericanCard. The Orange County-based trade exchange, through their numerous members, provided them with a variety business needs useful to a startup company. Today, the firm is owned by Atlanta-based private equity firm Roark Capital, and they?re continuing to build a powerful marketing organization with the recent acquisition of DX Marketing, a provider of market research, customer prospecting, data mapping and digital printing services. Money Mailer mails 175 million envelopes to 21 million households on behalf of more than 30,000 local, regional, and national advertisers. Valpak Direct Marketing Systems, a unit of Atlanta-based Cox Enterprises, is the other national mailer which distributes coupons to homes. For more information one of the nation?s oldest (35-years old) trade exchanges see: http://www.tradeamericancard.com. The following listings are a service to our readers. Please note that due diligence is advised in all of your business transactions...cash or barter. Talk Radio Syndicator Willing To Barter Big-Time! While a timeshare, a form of vacation property ownership, is usually a condominium vacation resort (the use and costs of running the resort being shared among the owners), developers have also applied the timeshare model to houseboats, yachts, campgrounds, and motor homes. Today?s timeshare industry includes over 5,000 resorts worldwide, with a total of 11 million timeshare ?intervals? that have been individually sold to nearly 7 million families. Timeshares sales, globally, total over $9 billion annually. There exists a resale industry for the resale of timeshare intervals. The bartering of timeshare units is also available through the commercial barter industry. 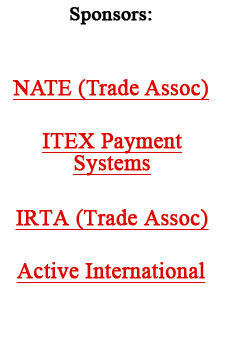 The two largest exchange agencies are Resort Condominiums International (RCI) and Interval International, plus there are several independent exchange agencies. Both have resort affiliate programs and members can only exchange to affiliate resorts. It is rare to find a dual affiliate resort, it is more common for a resort to be affiliated with only one of the larger exchange agencies. RCI represents over 3,800 resorts, and Interval has in excess of 2,000 resorts. The timeshare industry can be viewed as an example of a highly successful, single channel barter system. Single channel because there are no reciprocal agreements between either the major players (RCI and Interval) or the smaller players (lesser known agencies). It is important when considering timeshare ownership to determine which locations and resorts you may want to travel to trade for, before making your purchase. Because the timeshare resort you purchase will determine which of the major exchange companies you can work through. Owners of time shares who wish to have the opportunity to swap accommodations pay an additional fee...over and above the annual membership/maintenance fee. The exchange agencies bar members from subrenting weeks they have acquired in a trade. Timeshare owners may arrange a direct exchange. This, of course, requires locating a timeshare owner with mutually acceptable location and weeks. Until recently, such exchanges were quite rare. But with the burgeoning use of the Internet that will change, saving owners the additional fee required when trading through exchange agencies. The deadline to nominate a property for award consideration is September 23. In October 2006, the top ten nominees from around the world will be showcased on the web site for a month before the winner is selected. The winner and their family will win a one-week free stay of their choice at one of the following European cities: Barcelona, Prague or Rome. In our June 13 issue we reported on Business Barter Exchange (BBX) expanding into the trading of wine, with a goal of moving $5 million the first year. Given the current conditions of Australia?s wine industry they may blow right past that figure. Many of Australia?s 2,000 wineries and 8,000 grape growers are facing a French-like crisis: There are too many grapes chasing too few palates. The surplus is estimated as high as 900 million liters...large enough to serve every man, woman and child in the world a glass on the house. Wineries aren?t cheering, because the huge surplus is shredding prices for bulk and other low-end wines. Growers in the main wine regions ? the Riverina in New South Wales, and Riverland ? are being offered as little as $75 a ton, well below the $225 it cost them to produce the fruit. In 1993 the wine industry convinced the Australian government (in Canberra) to change depreciation rules, so growers could write off the cost of buying and planting vines over just four years...rather than over the lifetime of the vines, as with other agricultural assets. From 1997 through 1999 growers planted 100,000 additional acres, a 40% increase in only three years. Now the industry is pleading again for government aid, asking for a $45 million bailout that would pay growers not to pick 300,000 tons of grapes in each of the next two years. Not a chance, Aussie officials have said, adamant that market forces should decide which vineyards survive. Michael Touma, Managing Director of BBX, (and presumably other barter companies as well) should have their phone ringing off the hook, given the conditions of the vintners. Touma may well have some very interesting proposals in hand at the upcoming IRTA convention, for his fellow traders from around the globe. A lot of people are very familiar with Australian wines. Especially given the fact that Australia?s finest wines have snatched trophies away from the French in international competitions, and wine exports have swelled from $305 million in 1995 to $2.1 billion last year. In the second quarter ending June 30, IMS Barter processed more than 14 million in trade transactions, generating gross revenues of $1,810,654, compared to $1,596.594 in the second quarter of 2005. Total expenses for the quarter increased 23% from $1,398,551 in 2005 to $1,722,046 in 2006, attributable to the recent acquisitions and the hiring of new salespeople. Year-to-date gross revenue for the six-months ending June 30 totaled $3,552,990, compared to $2,738,976 for the same period in 2005...an increase of 30%. Total expenses for the same six-month period were $3,435,649 in 2006, compared to $2,531,812 for 2005...an increase of 36%. Total year-to-date net loss for the first six months of 2006 was $68,597, compared to a profit of $96,558 for that period in 2005. Tucson-based clothing recycler and trader Buffalo Exchange has 28 stores and five franchises in 11 states, with annual sales of $40 million. At Buffalo Exchange, clothing and accessories are bought, sold, and traded directly with customers. One?s used clothes can be traded for other goods, including jewelry and new clothing. The retailer?s inventory includes designer wear, basics, vintage, jeans, and leather. For more information see http://www.BuffaloExchange.com.